Oh, it’s cold out there! Looking ever so pretty, I know, but the cold is not my thing. 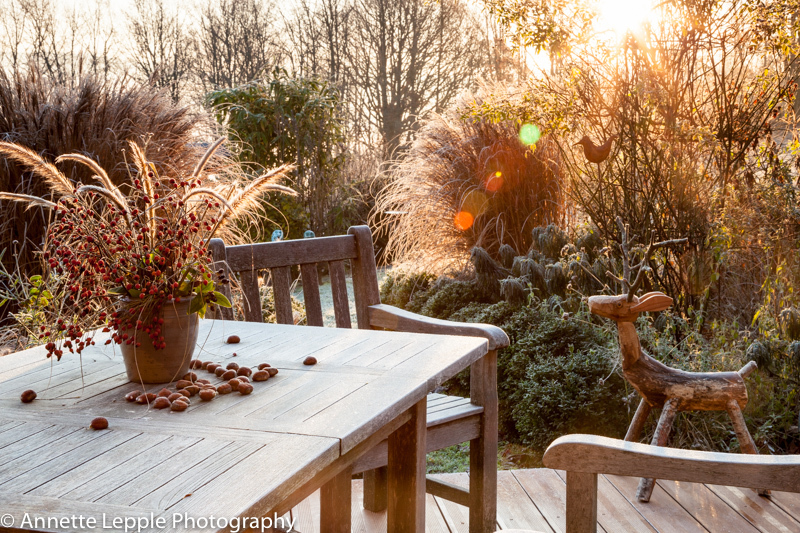 Still it’s magical, so let’s wrap up warm and take a quick tour…as you can see my autumn vase with hips and grasses is still going strong. Rudolf has settled in his new home and is the favourite perch of our robin. 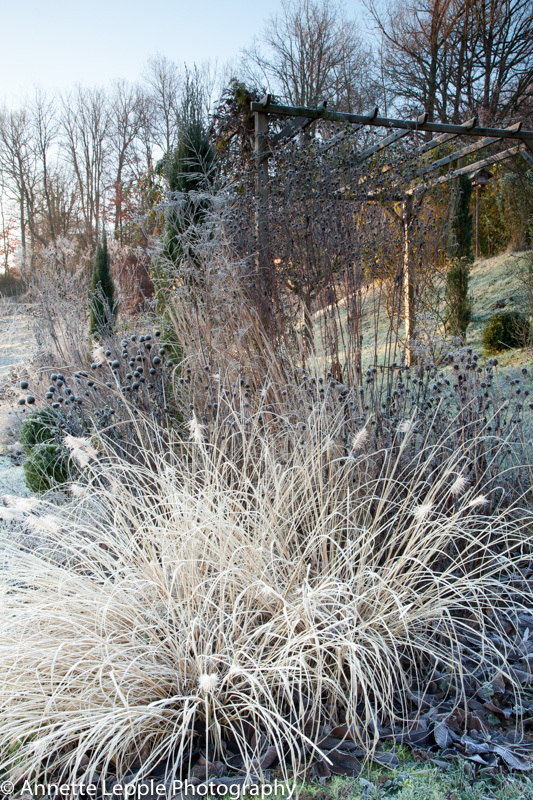 Miscanthus sinensis ‚Morning Light‘ is glowing in the borders. Oh, es ist kalt da draussen! Ich weiss, es ist wunderschön, aber die Kälte ist nicht mein Ding. Trotzdem kann ich mich dem Zauber nicht entziehen, also ziehen wir uns warm an und drehen eine kleine Runde…wie ihr seht, ist meine Herbstvase mit Hagebutten und Gräsern immer noch in Form. Rudolf hat sich gut eingelebt und ist mittlerweile der Lieblingssitzplatz des Rotkehlchens. Miscanthus sinensis ‚Morning Light‘ leuchtet in den Beeten. Our christmas project was the renewal of the decking in front of the house which was rotten in places, so everything looks neat now. In the background you can see the wintery skeleton of the weeping willow, one of my favourite trees for its year-round beauty. Über Weihnachten haben wir die Holzterrasse vor dem Haus erneuert, die an manchen Stellen morsch war. Im Hintergrund seht ihr das winterliche Skelett der Trauerweide, einer meiner Lieblingsbäume, weil sie das ganze Jahr über eine Augenweide ist. As nothing is cut back until late winter, the new borders continue to look good and it’s a joy to watch the birds pinching the seeds. Da ich erst am Winterende alles zurückschneide, überzeugen die Beete auch in dieser farblosen Jahreszeit. Es ist eine Freude, die Vögel zu beobachten, die sich an den Samen gütlich tun. With the weather being so icy, I thought an icy vase is just the right thing for today’s display. I popped in Cotoneaster berries, Hydrangea and Nigella flowerheads and put it into the freezer – voilà your unusual vase that lasts nicely these days. When it starts to melt, I pop it back into the freezer until the next ice age. Climate change anyone? 😉 Holly suits the vase just fine, needs no water and doesn’t fear the cold. Da es so kalt ist, gibt es heute eine Eisvase. Dafür warf ich Cotoneasterbeeren, Hortensien- und Nigellablüten ins Wasser. Ab in die Gefriertruhe und voilà – eine ungewöhnliche Vase, die sich derzeit gut hält. Wenn sie anfängt zu schmelzen, kommt sie bis zur nächsten Eiszeit wieder in die Truhe. Wie war das noch gleich mit dem Klimawandel? 😉 Stechpalme ist perfekt für diese Art von Vase, denn sie kommt ohne Wasser aus und fürchtet die Kälte nicht. In the evening I light some candles so that I can enjoy the vase from the comfort of my sitting room. Abends zünde ich ein paar Kerzen an, damit ich die Vase vom warmen Wohnzimmer aus sehen kann. You can even turn the vase into a lantern – doesn’t this look nice?! 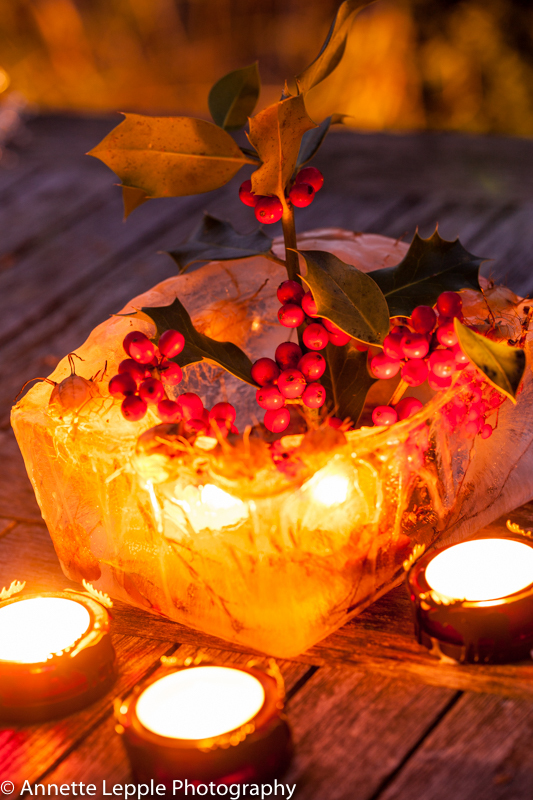 Have you tried making ice vases or lanterns? Be careful, it can be quite addictive once you get going 😉 Happy Monday, keep warm and don’t forget to visit Cathy who is hosting the Vase on a Monday and brings out all this creativity in us – thank you, Cathy! Ihr könnt aus der Vase natürlich auch eine Laterne machen – sieht sie nicht toll aus?! Habt ihr euch auch schon an Eisvasen oder -laternen versucht? Vorsicht, Suchtgefahr 😉 Happy Monday, haltet euch warm und vergesst nicht, Cathy zu besuchen, die Erfinderin der Montagsvase, die unsere Kreativität ankurbelt – danke, Cathy! Prev In a Vase on a Monday: So what? What a fun idea; I’ve never tried that; here it would probably thaw more quickly but that wouldn’t matter. Well done for being so creative. I did see that you’re having an unnusually cold spell, Christina, I hope you and the garden are coping well. 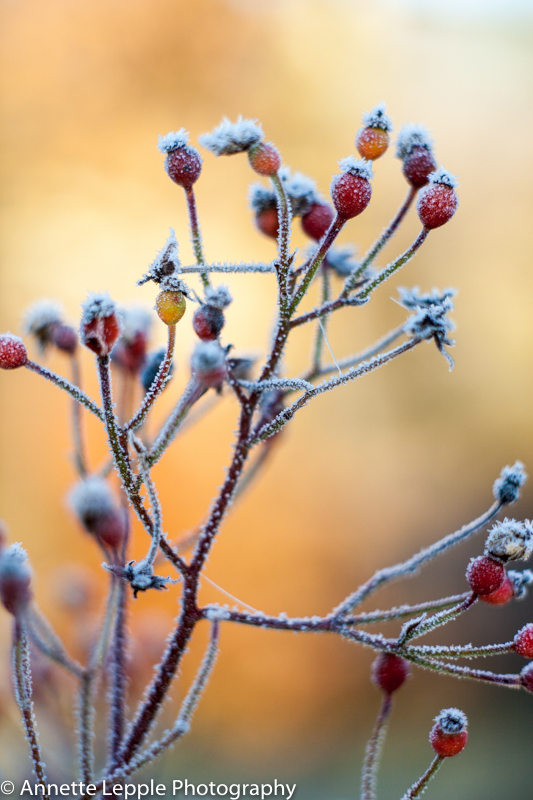 Creative ideas and lots of wintry loveliness. Annette, glad you’re making the most of the cold. What a brilliant idea and perfect winter creation. We have an aging deck so I am most impressed with your beautiful new one. And with your views. Sehr schön für die Augen und zur Freude der kleinen Tiere im Garten. Bei uns in der leergeräumten winterlichen norddeutschen Feldwirtschaftslandschaft würde ein Garten wie der deine bei ihnen noch willkommener sein, denn „draussen“ gibt es weniger Nahrung als im Garten. Die Rosen im Herbst Hagebutten bilden zu lassen ist für viele noch zu ungewohnt. 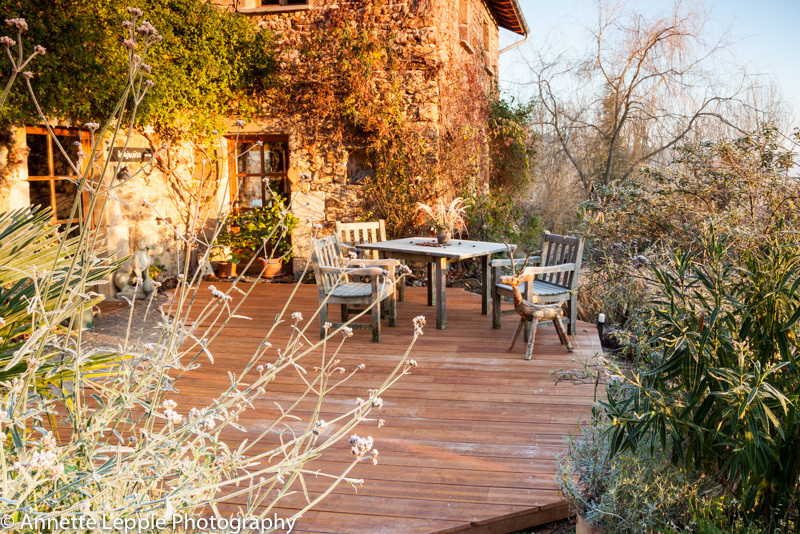 Your deck looks like a very nice place to hang out, cold and icy as it may be. Your frozen vase with the holly is a neat little experiment, if not necessarily suitable for my climate. We got back up to the low 70sF (21C) for a while over the weekend. At mid-day today, the temperature is now back down in the upper 50sF – cold for us but probably not cold enough to give the ice vase a go I expect. Best wishes for the coming week! It’s certainly a treat to watch the birds. 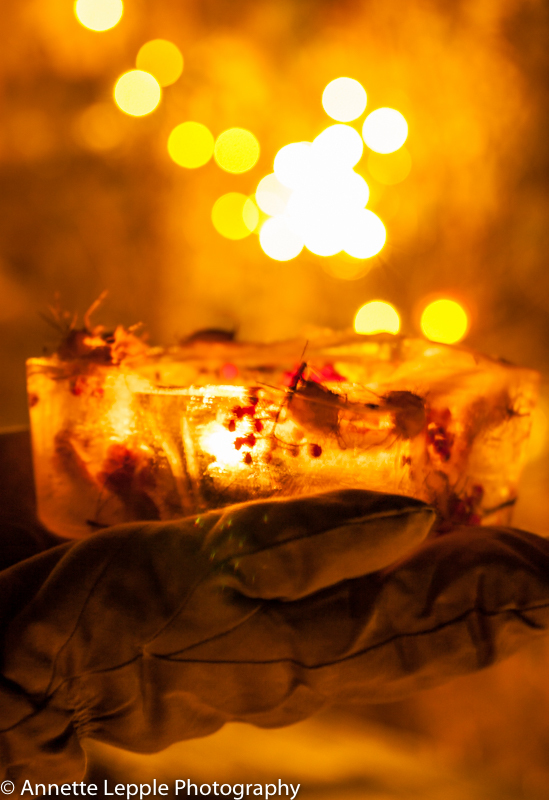 Your garden and photos are beautiful and the ice lantern is magical. Brilliant, I have never seen anything like it. I am going to copy it when we get some more icy weather. How very creative. 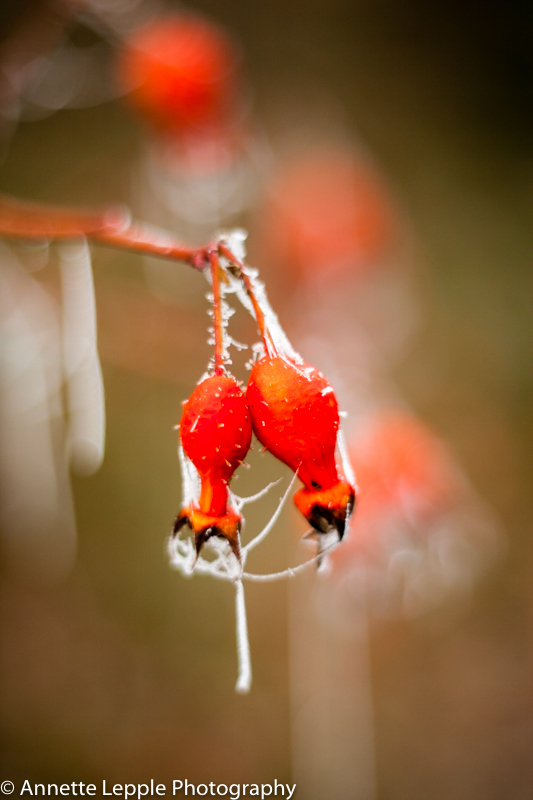 I love all the photos of your winter garden. WOW, your garden looks so good in January, and that vase…indeed brilliant. I might just have to give it ago, although with all the ice we’ve been having fall from the sky I am kind of tired of it. 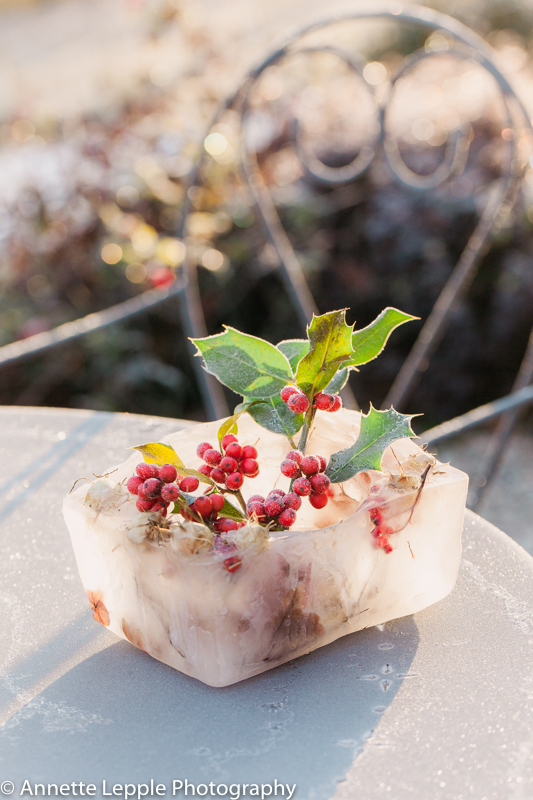 Your winter garden is beautiful, the ice vase is a brilliant idea and the perfect finishing touch. my plantings are on a rather humble scale, yours look so much more impressive, Kate, and make me want to plant more grasses! Oh, what a nice thing to say! 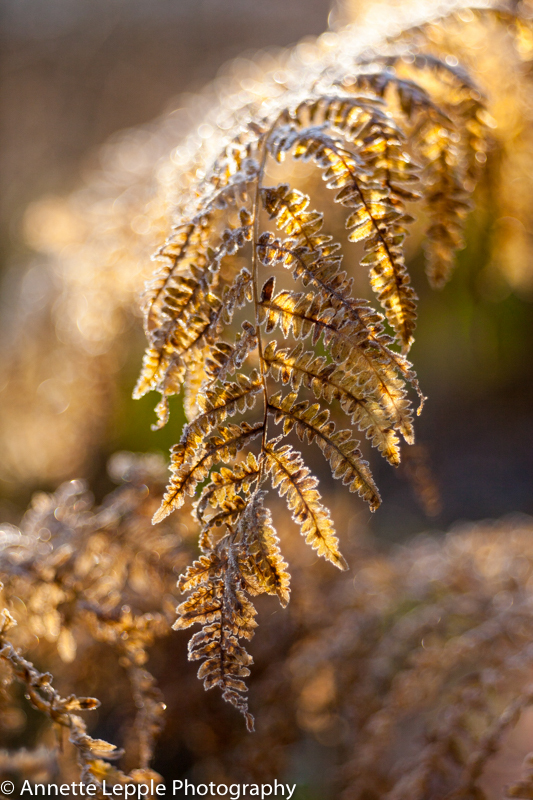 Mind you, I think grasses make fabulous light and eye catching specimens/accents (like yours) too. tolle Bilder, schöne Stimmungen bei Dir, liebe Annette. Und die Eisvasen perfekt für die Jahreszeit. Herrlich- der Bummel durch Deinen schönen Gartenblog war wieder fein..ich komme gern wieder und folge Dir durch das Gartenjahr. Hi, Annette, your ice vase is so magically beautiful! What a great idea! I would love to try it out myself, but here in Southern California, it would melt within hours. But I truly enjoyed looking at yours. Thanks for sharing! Wishing you wonderful winter days!